A week after his death family, friends and former colleagues of Ambassador Hanno Rumpf gathered in Windhoek on Friday to pay their final respects at the Christus Kirche and to celebrate his life. Deputy Prime Minister and Minister of International Relations and Cooperation, Netumbo Nandi-Ndaitwah, spoke at the memorial service and said the lives of illustrious figures, such as Ambassador Rumpf, and people like him must continue to inspire everyone and especially the youth. It was with a deep sense of shock and sadness that the Ministry of International Relations and Cooperation has learnt of the untimely death of Ambassador Hanno Rumpf, who left this world on the 8 February 2019, in Swakopmund. Today we have come together, not to mourn the death of Ambassador Rumpf, but to celebrate the life of an outstanding patriot, who devoted his adult life to a cause which was dear to him above all others, the cause of a better life for the people of his beloved Namibia. Ambassador Rumpf served Namibia and its people before independence and after independence with single minded dedication. He was a man of unbending principles. His bravery refused to be conscripted into the apartheid army of occupation to fight against his own people. For this, Hanno suffered ostracism by his friends and foes. He was unyielding and fled the country in 1984 to join the liberation struggle in exile. • Permanent Secretary in the National Planning Commission (1999-2003). 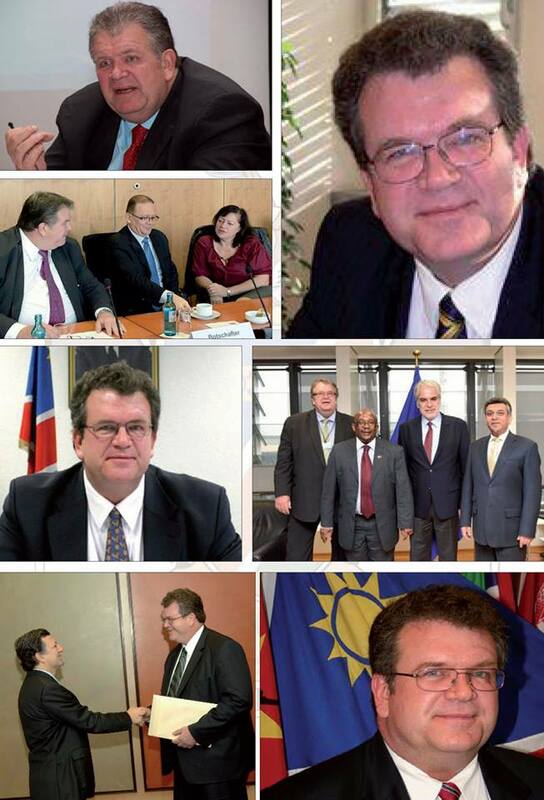 When he joined MIRCO as Ambassador to the Federal Republic of Germany, with concurrent accreditation to the Republic of Austria and the United Nations in Vienna, and later as Ambassador to the European Union in Brussels and the Benelux countries, he managed to bring together all his previous roles, as he took on the task of informing the international community about Namibia and advancing our foreign policy and national interests to the world. During his various diplomatic tours of duty, he endeared himself as a gentle giant both intellectually and through the warmth of his caring character to his peers and interlocutors at all levels. Through his unshaken and principled dedication and commitment to serving the people and Government of Namibia, he distinguished himself as a forceful and ardent voice and promoter for socio-economic development, progress and well-being of the people of his country. 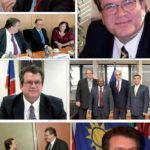 Since his retirement in 2015, he continued to impart his vast knowledge and diplomatic expertise to the Ministry and served as a member of the Namibia Association of Retired Ambassadors, until the time of his demise. Ambassador Hanno Rumpf rendered invaluable professional service, insight and leadership, and was much respected by his colleagues both Namibians and foreigners for his admirable qualities as a diplomat and person. Indeed, he was a rare gem! Those of us who had the privilege of working with Ambassador Hanno Rumpf gained immeasurably from his wisdom. His personal warmth, humanity and charm will ever remain in our minds. We were inspired by his example as a comrade, consummate professional and diplomat-par-excellence. The lives of illustrious figures, such as Ambassador Hanno Rumpf, must continue to inspire us all, especially the youth. Their commitment for a better life drove them, and they never asked what the country can do for them, but what they can do for their country and its people. On behalf of the Ministry of International Relations and Cooperation, and indeed on my behalf, I would like to take this opportunity to convey our sincere heartfelt condolences and deepest sympathy to Mrs. Rosemarie Elizabeth Martha Rumpf and the entire bereaved family and friends of Ambassador Hanno Rumpf. Our hearts are with you in this moment of bereavement. Draw strength and comfort from the many friends, here and in the wider world who mourns with you. Draw strength and comfort in the fact that his rich legacy will continue for generations to come. Ambassador Rumpf will certainly be missed at home and abroad. May the soul of Ambassador Hanno Burkhard Rumpf rest in eternal peace.